Let’s face it, no man wants to lose his hair but it will inevitably happen to most of us. While not all of us will become bald, the aging process makes hair lose its thickness and receding hair lines begin to show. Once upon a time we thought there was nothing we could do to stop this but now we know different. Take a look at our top 7 natural ways to stop hair loss and keep your locks looking young fresh and existent! Onions may make people cry but they can bring out tears of joy for those of you losing hair. The journal of Dermatology published a small study on 23 people. They all applied onion juice to their heads twice a day and within 6 weeks 20 of those people saw improved hair regrowth. Apparently this could be due to the flavonoids in onion juice having anti-inflammatory qualities. There is a compound found in peppers known as capsaicin which can stimulate growth factor. This can have a positive effect on hair growth within 5 months of taking a 6mg supplement daily. This study was carried out and published by Growth Hormone and IGF Research Company. Before starting this one should consult your doctor about adding this supplement to your diet. They say luck comes in threes and this natural remedy could prove it. Rosemary has been known in the past to stimulate hair growth, sage to increase density of hair cells and aloe vera has been used for centuries to promote new hair growth. This is all according to the Thai Review. 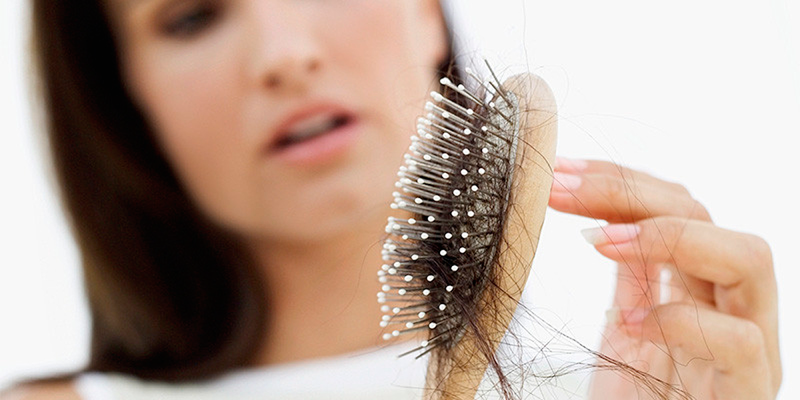 Zinc deficiency is one of the most common causes of hair loss. Zinc builds protein that is essential for hair growth, it also creates DNA cells and supports tissue repair and growth. Zinc also regulates testosterone, which is also another cause of hair loss in men. Foods high in zinc include lean beef, spinach, nuts, pumpkin, chicken and pork. This one may sound obvious to many but it is very relevant to the problem of hair loss. Stress damages the body and leads to hair loss. Exercising regularly or enjoying your favourite comedies are good ways to de-stress your body and mind, meaning less hair loss. Almond oil is rich in nutrients including Vit E and D, calcium, magnesium, iron and healthy fats. When you apply the solution to your head, the nutrients in the oil will be absorbed into the scalp and help protect the roots and follicles from exterior damage. Almond oil can replenish hair, bringing back shine and reduce inflammation too. There is a lot of cosmetic products out there that promise to deliver amazing results for your hair, but many have a lot of chemicals in them that could actually damage your hair with long term use. Go for natural ingredients when purchasing hair treatment to avoid this. Other ways to treat your hair properly are to avoid blow drying your hair, dry your hair gently with a towel instead and you will maintain strong strands of hair instead of brittle split ends.